A palate-cleansing Pinot Grigio. An aromatic Riesling blend. An award-winning Chardonnay. These are just the whites—and the first three wines—that you get to try in a rustic tasting room today. The vineyard just happens to be in New Jersey. New Jersey isn’t the obvious choice for a wine tasting. You probably didn’t even know that the state had vineyards. Wine from the nearby North Fork of Long Island and the Finger Lakes is already well-respected. Virginia, a little bit farther away, is suddenly on everyone’s radar, as well. So why not New Jersey? It is the Garden State. Farmland covers much of the southern half of the state. Hot and humid summers combined with mild winters create ideal conditions. There are even three American Viticultural Areas (AVAs)—designated wine grape-growing regions—already established here. So, yes, it’s time to try wine from New Jersey. Unionville Vineyards makes a perfect day trip. It’s not that far from New York City or Philadelphia. Princeton, known for its farm-to-table restaurants, is even closer. Ringoes, the little town in which it is located, is the oldest town in Hunterdon County. While the vineyard itself was once part of the largest peach orchard in the United States, and its main house was built in 1858. Then grapes—focusing on varietals from Alsace, Burgundy, and the Rhône—were planted in 1988. The winery finally opened in 1993. 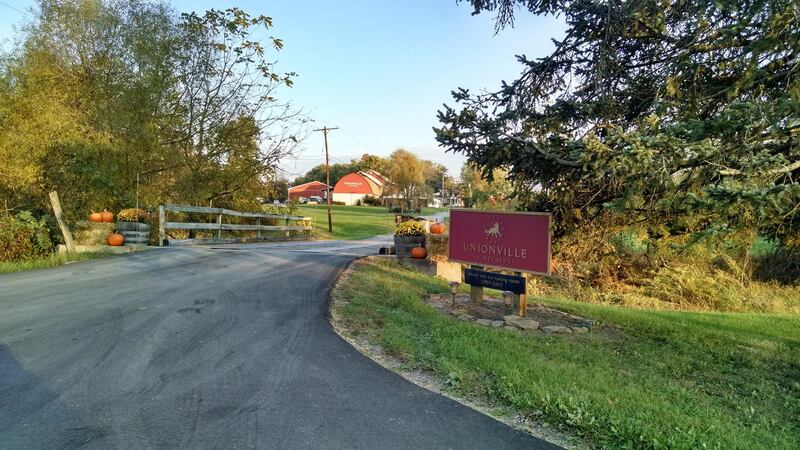 Today, Unionville Vineyards grows grapes in six vineyards that are spread across three counties. You can see fields of Riesling, Chardonnay, Cayuga (a white hybrid), Cabernet Sauvignon, and Chambourcin (a red hybrid) when you arrive. More Gewürztraminer and Pinot Grigio were just planted this year. Most of the wines age in neutral French oak barrels. Plus, especially around harvest time, events with food and music are paired with the wines. So are you finally ready to try wine from New Jersey?